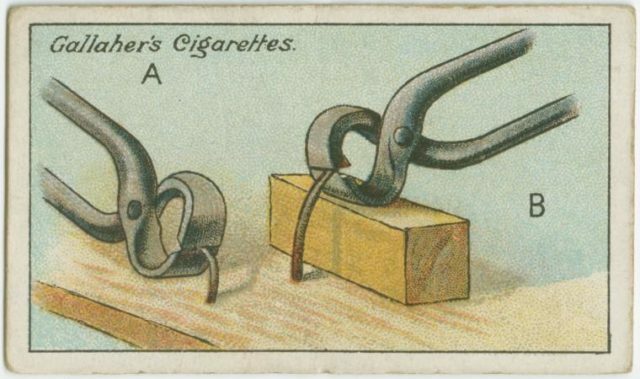 During the 1900s, cigarette manufacturers used to put stiffening cards into their packs of cigarettes to give them strength and help make them last longer. 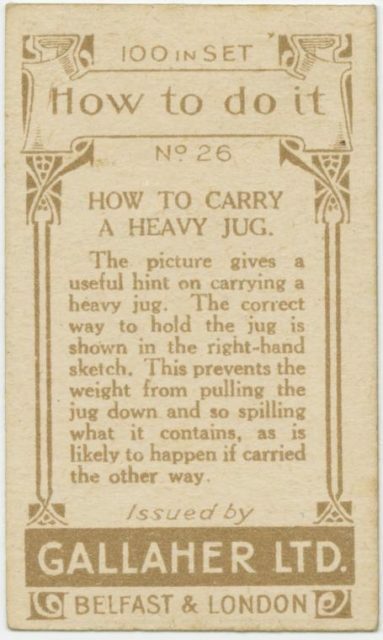 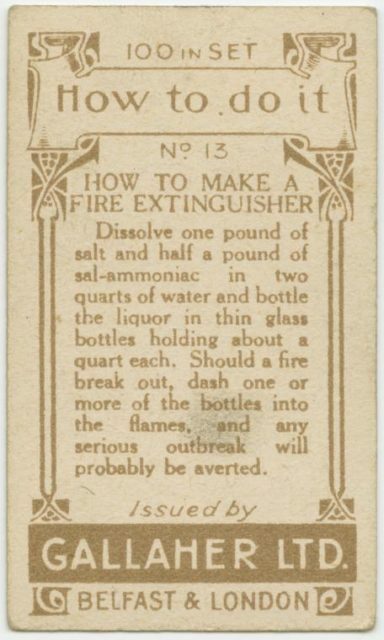 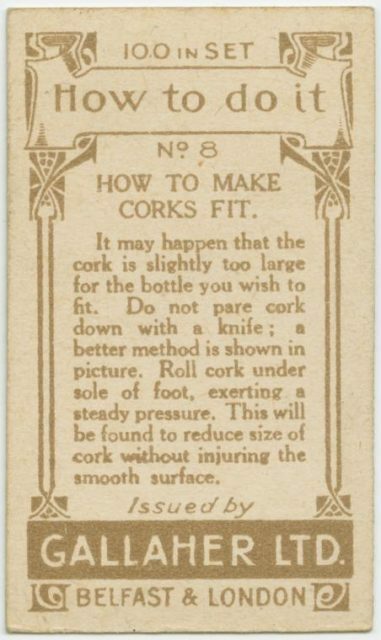 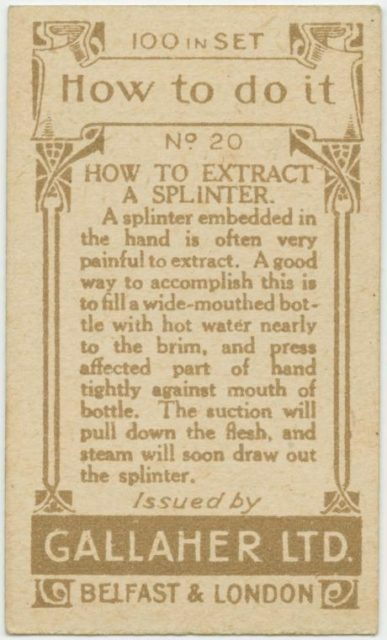 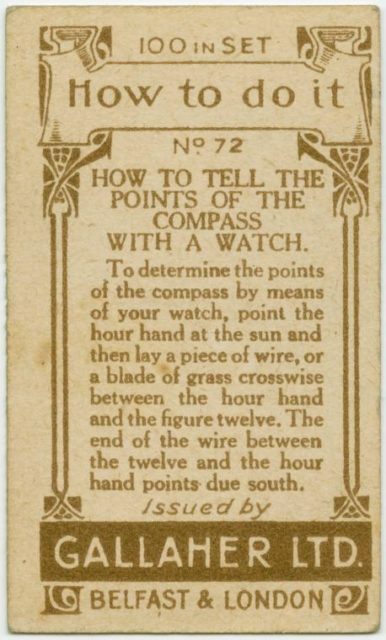 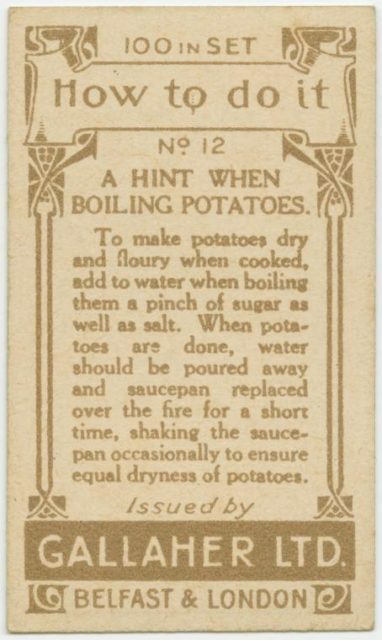 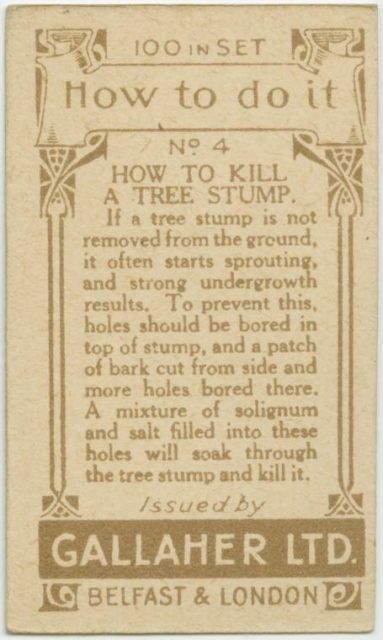 In the 1910s, Gallaher Ltd of Belfast & London and Ogden’s Branch of the Imperial Tobacco Co printed “How-To” series, with clever hints for both everyday and emergency situations. 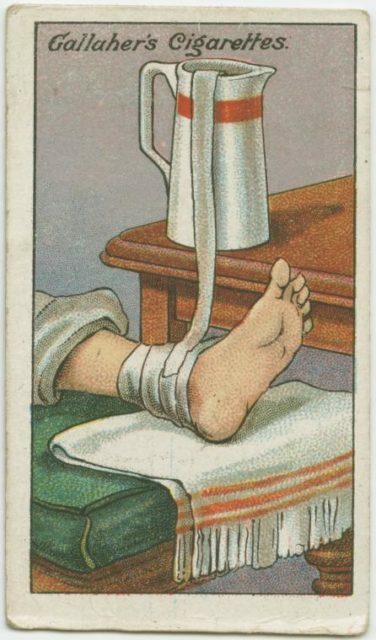 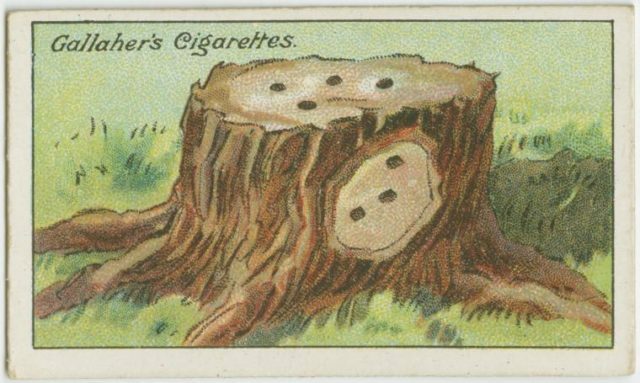 From steaming out a splinter to stopping a mad dog, these cigarette cards told you the smart way to handle many of life’s problems. 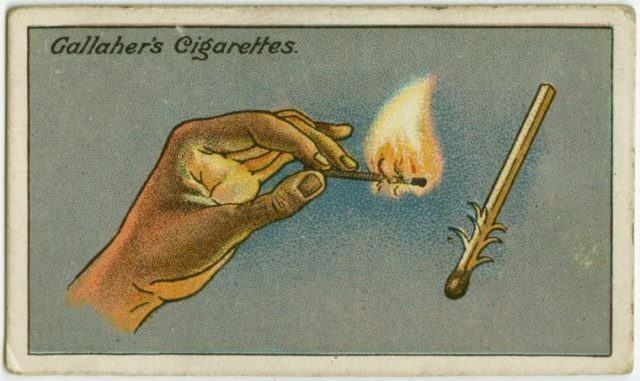 Someone during this time had an ingenious idea to put trivia, artwork and even famous people (Elvis Presley anyone?) 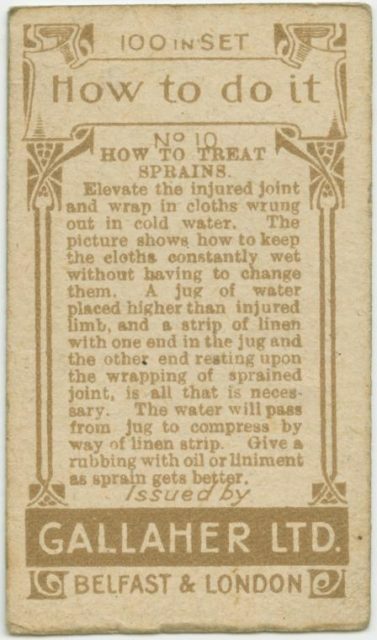 and athletes onto the stiffening cards. 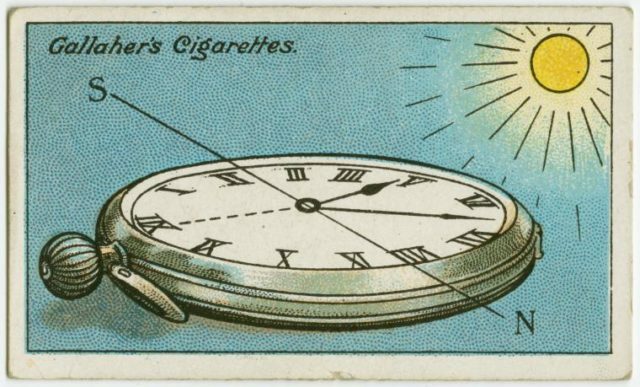 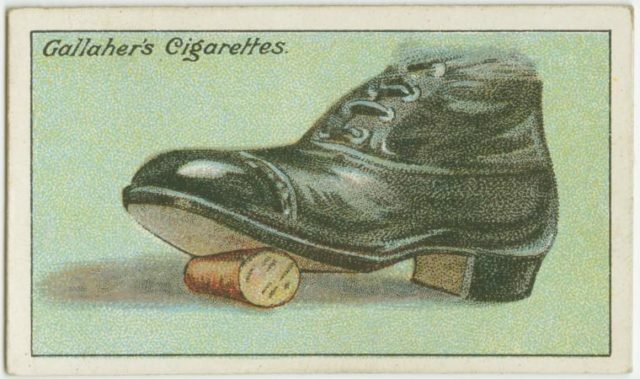 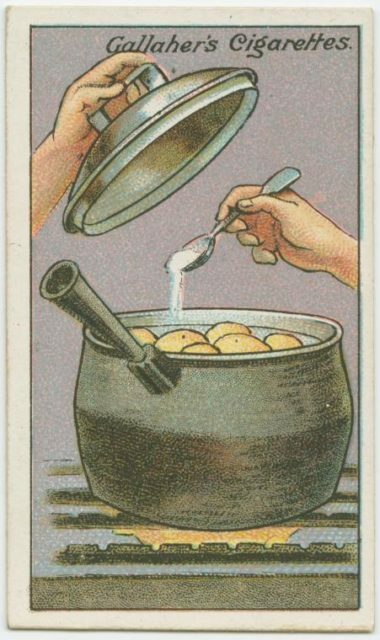 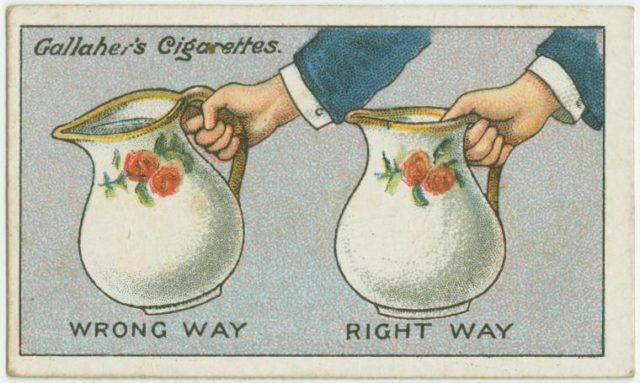 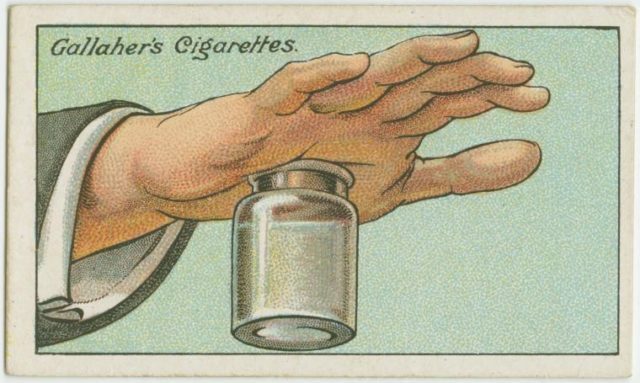 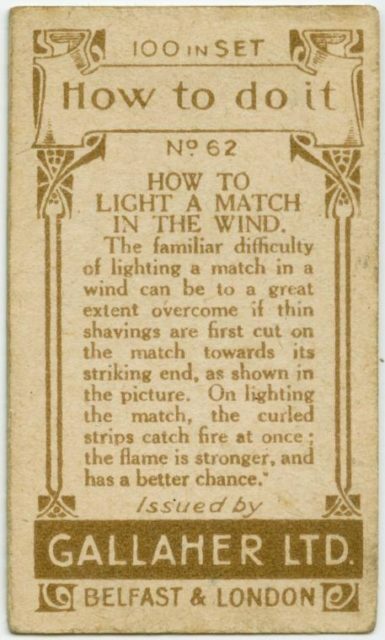 Gallagher’s Cigarettes made a special series of 100 cards that included “How to do it”, useful tips and tricks for everyday problems in the early 20th Century. 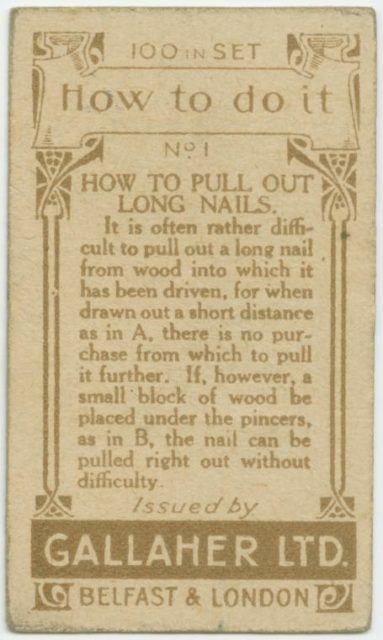 The whole 100 card collection was recently digitized and made part of the New York Public Library’s George Arents Collection. 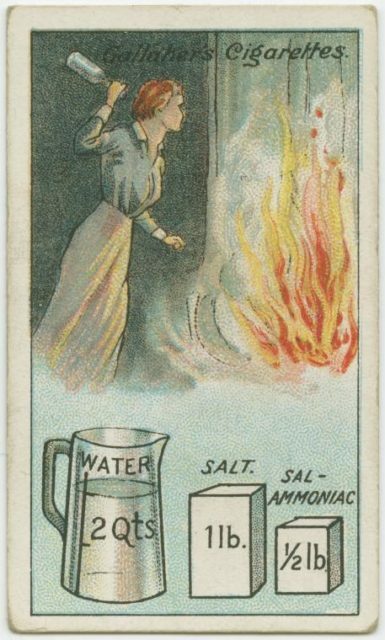 You can visit the NYPL Digital Collections at digitalcollections.nypl.org/ to see all 100.